We're having a Knit A Long... our first! Check out other posts here. The lid involves using centred double decreases. If you'd like to read more about this, Kate has written about it on her website... but be warned. It will mess with your mind. Maybe read it AFTER you've done your lid! I found it quite tricky to get the yarn to sit nicely on my decreases. The decreases are done thus - slip 2 stitches as if to knit 2 together, knit 1 stitch, pass the 2 slip stitches over. 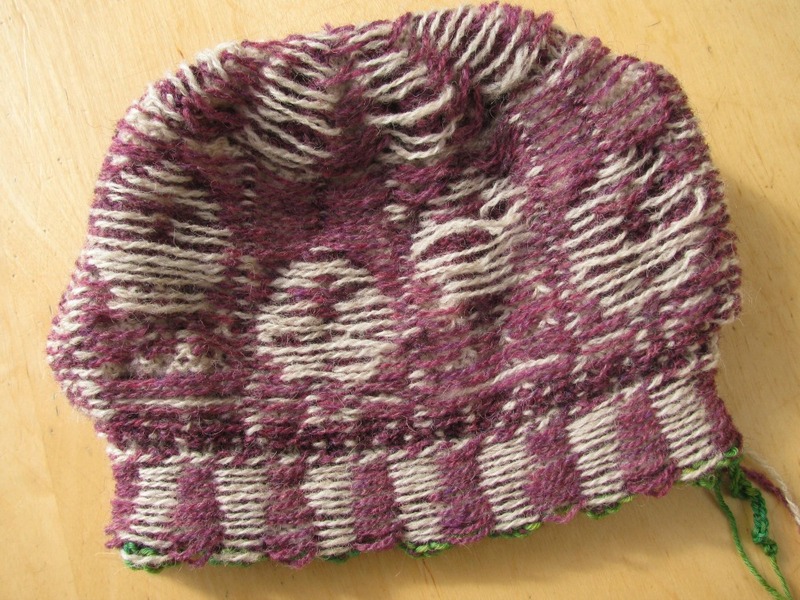 However, once it was all done the stitches pulled each other into shape and it came out quite nicely. 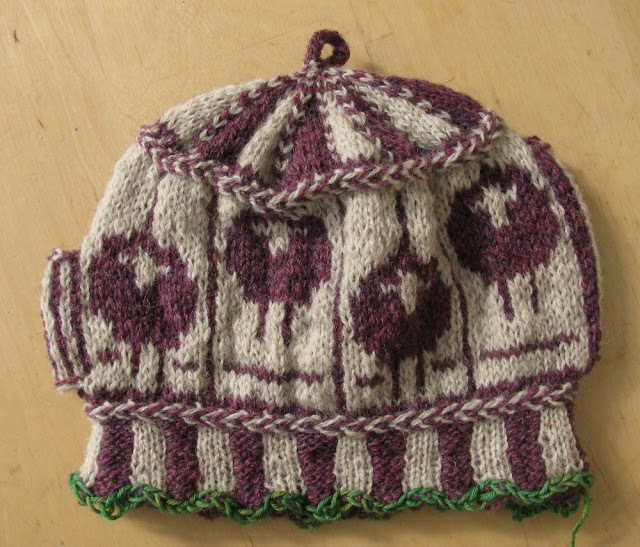 I used KnitPro interchangeable needles and switched to an 80cm cable on row 7 of the lid chart as it was becoming difficult to stretch it over a 40cm cable. 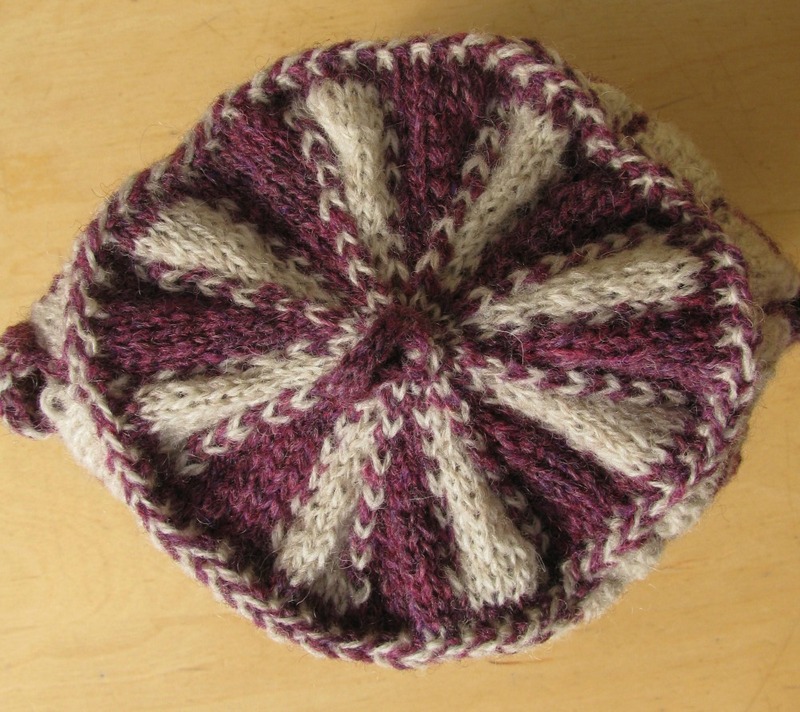 With an 80cm cable I can the Magic Loop method to knit the ever decreasing circle. I did use double pointed needles to do the i-cord at the top. You can find a video tutorial on Magic Loop here and photographic tutorial on an i-cord here. For homework I'm going to watch this Knitting Daily programme by Eunny Jang and read through Kate Davies' explanation too.